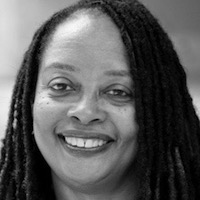 Valerie Boyd is the author of the critically acclaimed biography Wrapped in Rainbows: The Life of Zora Neale Hurston (2004), winner of the Southern Book Award and the American Library Association's Notable Book Award. Wrapped in Rainbows was hailed by Alice Walker as "magnificent" and "extraordinary," by the Boston Globe as "elegant and exhilarating," and by the Denver Post as "a rich, rich read." Formerly arts editor at the Atlanta Journal-Constitution, Boyd has written articles, essays, and reviews for such publications as the Washington Post, the Los Angeles Times, Creative Nonfiction, the Oxford American, Paste, Ms., Essence, and Atlanta Magazine. She is a professor of journalism and the Charlayne Hunter-Gault Distinguished Writer in Residence at the Grady College of Journalism and Mass Communication at the University of Georgia, where she founded and directs the low-residency MFA program in narrative nonfiction. Boyd is currently curating and editing Gathering Blossoms under Fire: The Journals of Alice Walker, a collection that spans more than 50 years. Simon & Schuster/37 Ink will publish the collection in 2019.